When we think about refugee camps one of the most common images that come to our mind is an aggregation of tents. However, after more than sixty years since their establishment, Palestinian refugee camps today are constituted by a completely different materiality. Tents were first reinforced and readapted with vertical walls, later substituted with shelters, and subsequently new houses made of concrete were built, making camps dense and solid urban spaces. 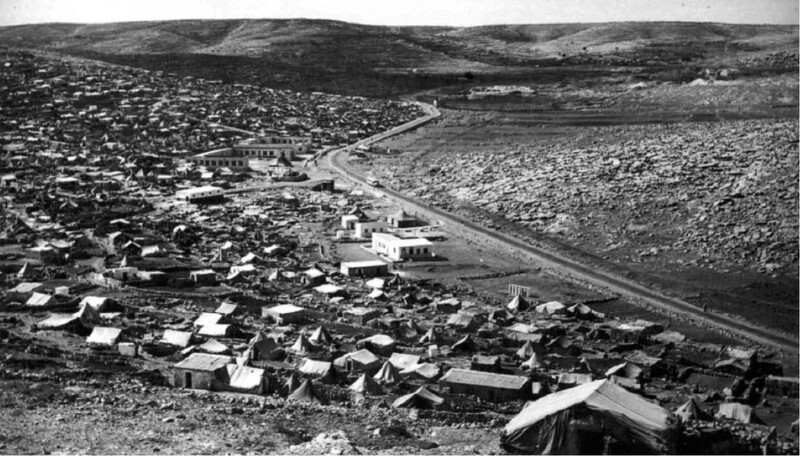 Dheisheh camp was created in 1949 to offer shelter to the Palestinian families expelled from 45 villages around Jerusalem and Hebron areas. 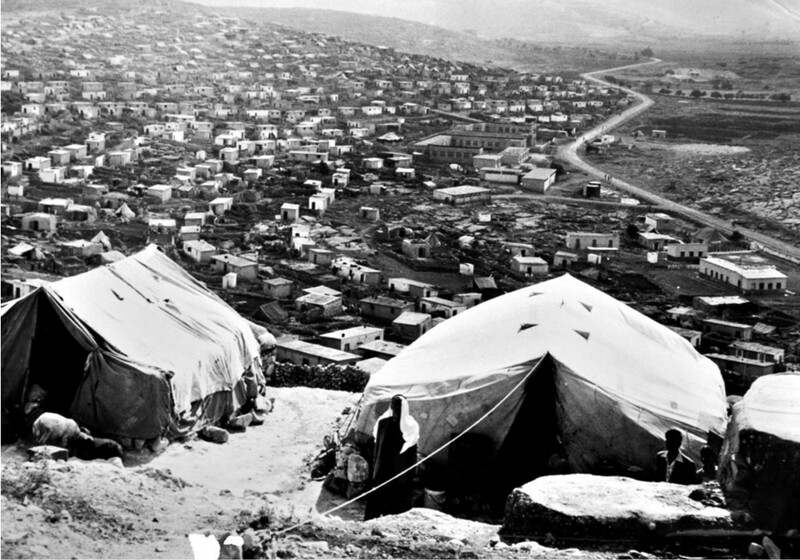 At that time refugees first gathered in the open land on the margins of the city of Bethlehem, where UNRWA provided families with tents. By the middle of the 1950s, UNRWA built shelters, each family received a 9 square meter shelter and every 15 families shared one bathroom. The land where camps are located are leased by UNRWA from host governments. According to UNRWA’s rules and regulations, the property may not be rented, sold, or transferred to others by the refugees and UNRWA does not recognize any sale or lease by the refugees. Despite these regulations, there exists a de facto selling, buying, renting and leasing of camp land and property. This process has existed since the establishment of the camp. There are 59 refugee camps scattered between Jordan, Lebanon, Syria, West Bank and Gaza. Officially UNRWA (The United Nations Relief and Works Agency for Palestine Refugees in the Near East) does not administer camps since its mandate is to provide relief and works programmes for Palestine refugees. In reality after almost 70 years since the agency has been established it has been forced to expand its role and has been challenged by refugees to move beyond humanitarianism. Dheisheh camp today hosts 13.000 people. With time the camp has become overcrowded and a very dense urban space with no public space. Refugees have been always reduced to individual numbers in statistics, rarely considered as a collective community with its own need for collective spaces besides the need of sheltering. In camps, legally, public or private property does not exist. 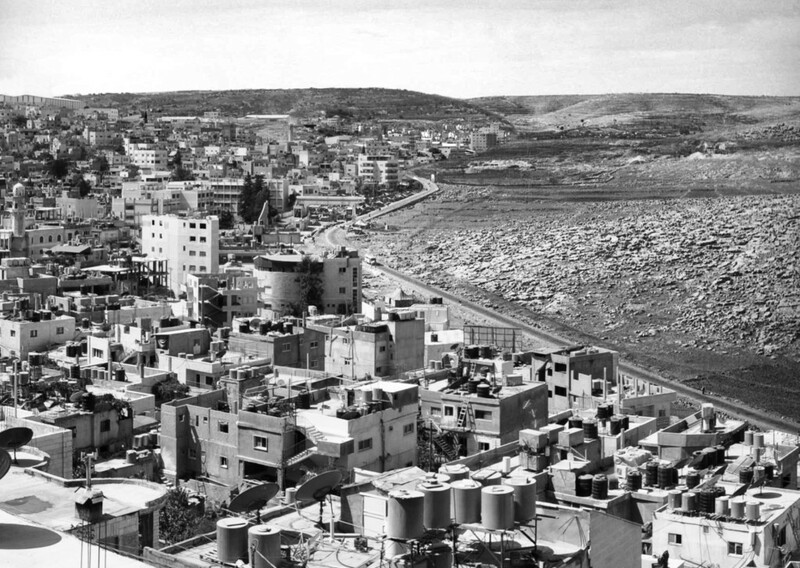 Since the land is leased by UNRWA from the government, refugees can not even own their houses. UNRWA is also not a municipality that takes responsibility of collective spaces (despite providing similar services of a municipality such us collective garbage, providing building regulations, etc…). In 2013 Campus in Camps participants started to map out the unbuilt spaces in Dheisheh refugee camp (The Unbuilt) discovering an intricate matrix of open spaces. By mapping the unbuilt, Campus in Camps participants were searching for a site for a collective intervention. They found a plot, now belonging to the Al-lahham family, consisting of 3 shelters, one shared bathroom and a water reservoir.